The Huskylock 901 – I received this as a gift from my husband a number of years ago. This serger has been a workhorse. I have used it a ton! I only recently have had frustrations with it because of the baby clothes memory quilts I am making. I sew over 3-5 layers of clothing, which is why I’d like more of a workhorse of a serger. 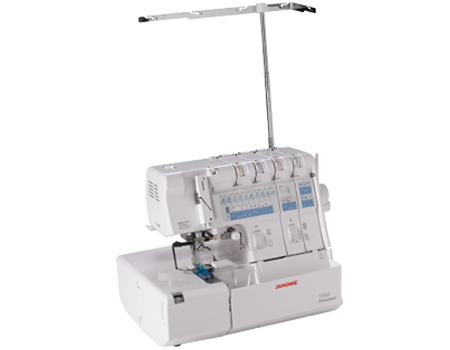 If and when I upgrade, Annie will get my serger and I’m sure she’ll get many more years of service from it. 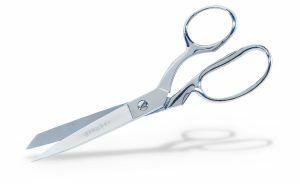 I am currently using a Juki MO 654 DE. This has also been a workhorse serger. The blade design is a little different which helps when sewing layers. 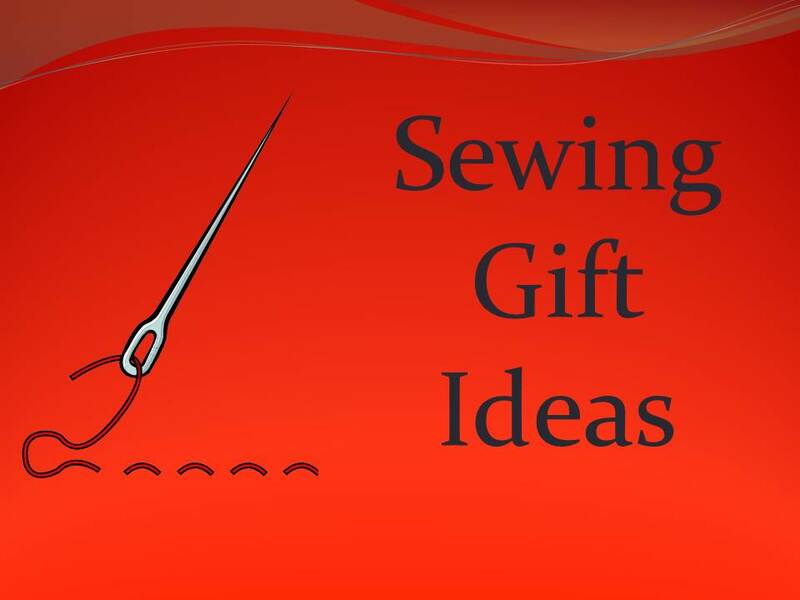 Singer – My first sewing machine was a Singer. I sewed on it for 17 years with very few problems. I still have it but do not use it. I can’t bear to part with it. We bought Annie an entry-level Singer machine 3 years ago. She has used it a ton! 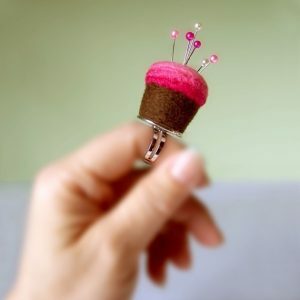 It took her a while to get used to the bobbin – which is not a drop-in. 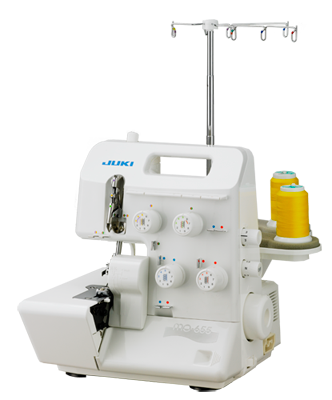 When my friends ask about sewing machines for their kids, I do not hesitate to recommend this. We got it for a little more than $100. 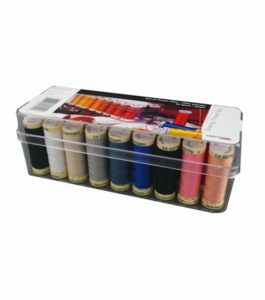 To get a machine with a drop-in bobbin, it was an additional $150. Annie has grown to understand her machine. 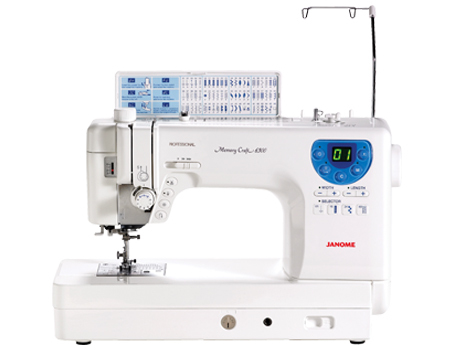 As her business ramped up, she upgraded to a Janome 3160 QDC. This has been a wonderful machine for her so far. 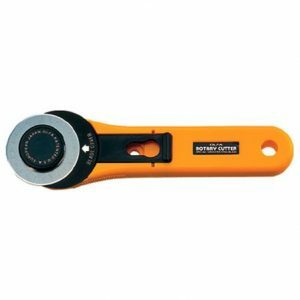 It has many of the features of my machine, including automatic cutter, and yet it is lightweight, making it easy for her to take back and forth to school. You can find some great jewelry and accessories on Etsy! Simply search on sewing pendants. There are so many interesting buttons! 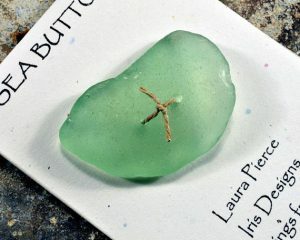 Here are some beach shard buttons on Etsy!. 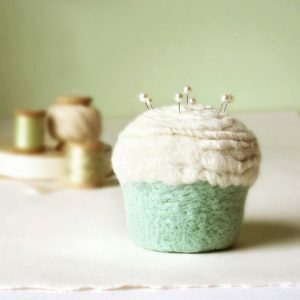 I love receiving handmade gifts – even if I can make them myself! 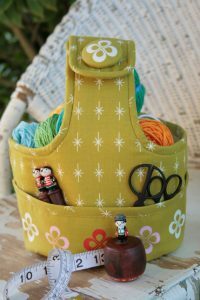 A sewing caddy is always fun. 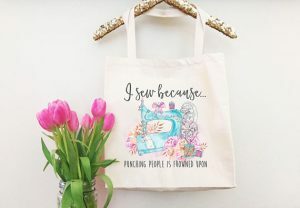 A woman can never have too many totes! 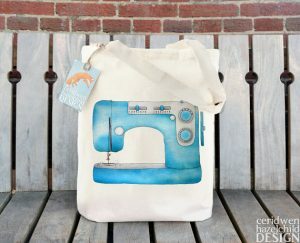 I have pinned a ton of tote tutorials that you can check out. 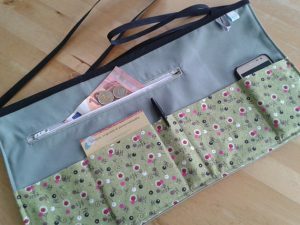 A craft apron is very handy both for working and for craft shows. 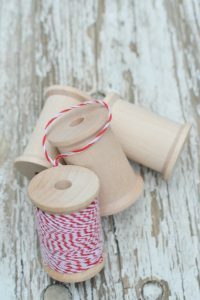 This thread spool ornament is adorable and simple to make! Combine my two favorite hobbies – sewing and drinking wine – with this DIY thread spool wine stopper! 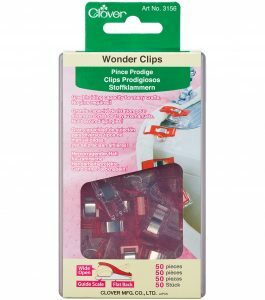 I added these Wonder Clips to my studio this year and find them so useful! I use them especially when making totes. Why can’t they design sewing machines with proper lighting? Have you ever tried sewing anything black at night? It’s impossible! 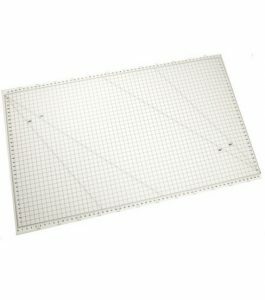 But even during the day I need additional lighting aimed right at my sewing foot. 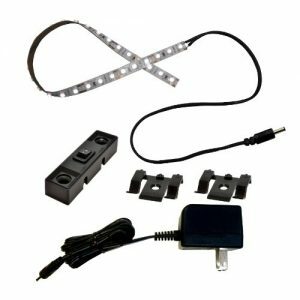 I have not tried an LED set like this one yet. I currently use a swing-arm style lamp that I can move around. I’m still searching for the perfect marking pen. I’d like to give this Sewline a try.